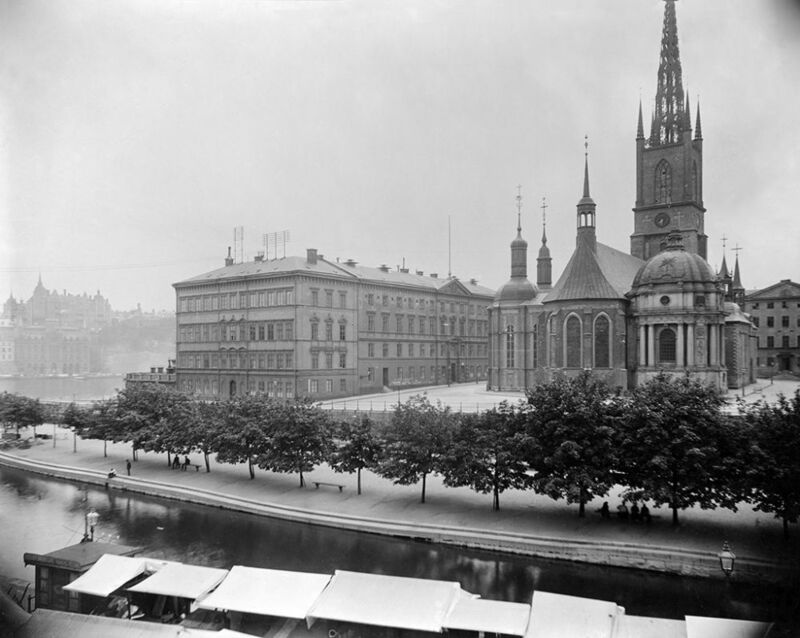 This set shows photos of Swedish churches from 1100-1900 AD – a mix of stone and wooden churches, cathedrals and chapels – country churches as well as city churches. We think that these pictures well describe the wide range of churches to be found all over the country in the 1800s. 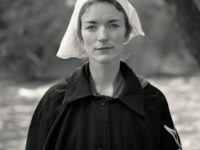 They also show the surrounding landscape or environment, often with people from Old Time Sweden. Lerbäck Church, Närke, Sweden. Lerbäck church, built in 1783-1786, since the earlier medieval church was destroied by a fire. 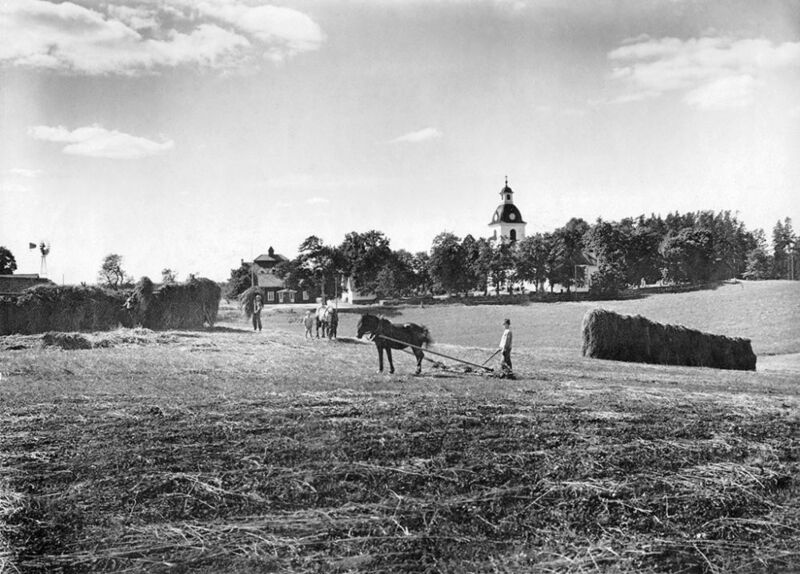 Hay-drying racks, and people gathering hay in a field. Ytterhogdal Church, Hälsingland, Sweden. 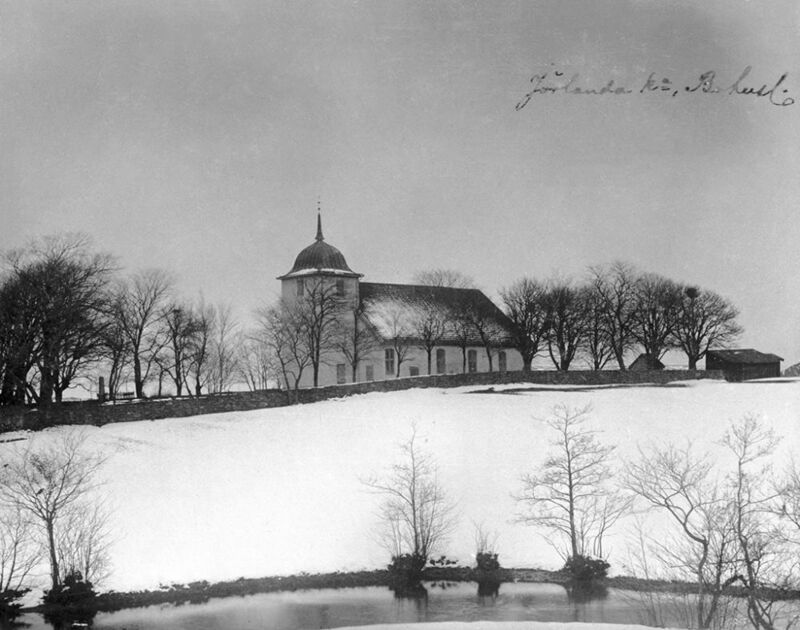 Ytterhogdal church, inaugurated in 1809. An earlier church, originally from the 16th century, stood on the same place. 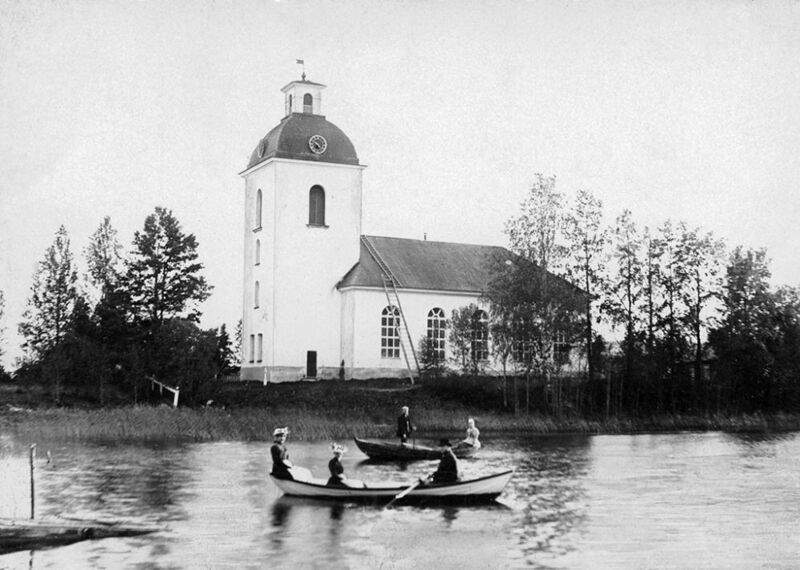 People in rowing-boats on Kyrksjön (Church lake). Riddarholmskyrkan, Stockholm, Uppland, Sweden. Riddarholmskyrkan at Riddarholmen (“Knights Islet”). The church, inaugurated ca 1300, was originally built as a monastery church for the Grey Friars – a Franciscan orden. It became in 1634 a royal burial church. Trefaldighetskyrkan (Holy Trinity Church), Karlskrona, Blekinge, Sweden. Trefaldighetskyrkan (Holy Trinity Church) at the Main Square in Karlskrona. 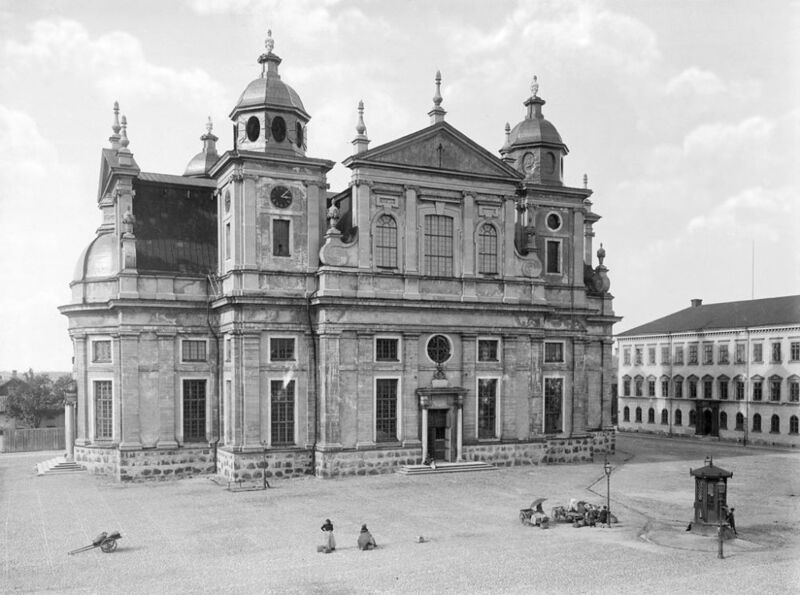 The Baroque church, founded in 1697 and inaugurated in 1709, was created by Nicodemus Tessin the Younger and recreated by architect Olof Tempelman after the city fire in 1790. 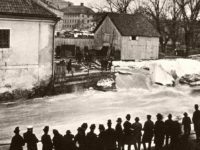 The church is also called the German Church since it originally was the church of the German congregation in Karlskrona. 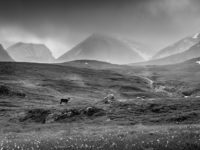 Viken Chapel, Frostviken, Jämtland, Sweden. 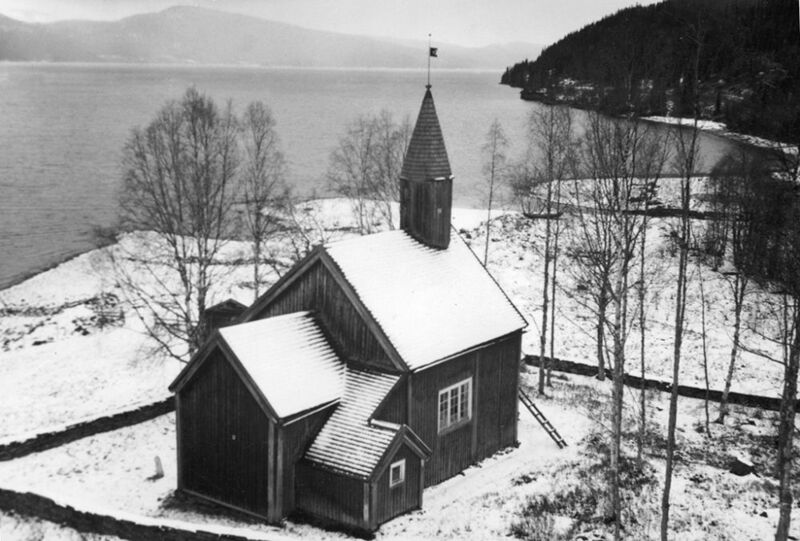 Viken chapel by lake Kvarnbergsvattnet. The wooden chapel was originally built in 1793 by Norwegian settlers. It has been rebuilt and restored several times. 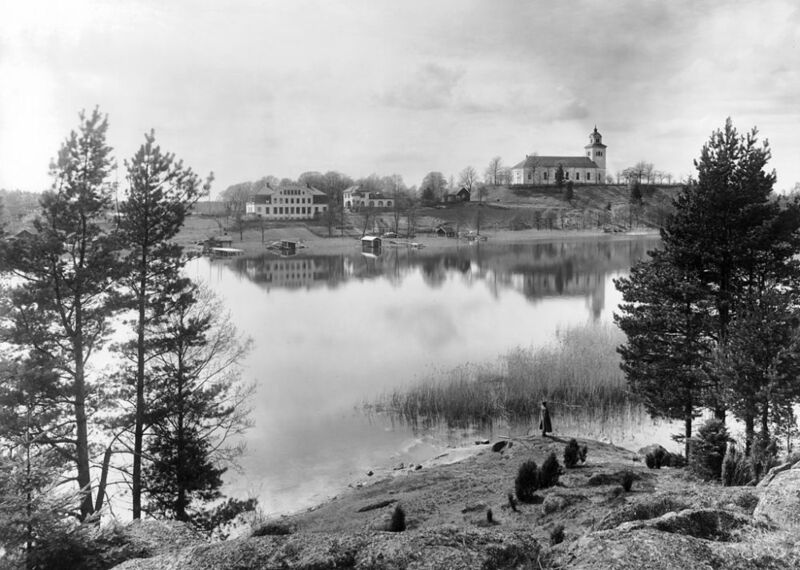 Architect Gösta Rollin (who took the image above) was in charge of a restoration in 1950-1953. Kårsta Church, Uppland, Sweden. Kårsta church, built of grey stone in the end of the 15th century. It replaced an earlier wooden church, probably from the 13th century. 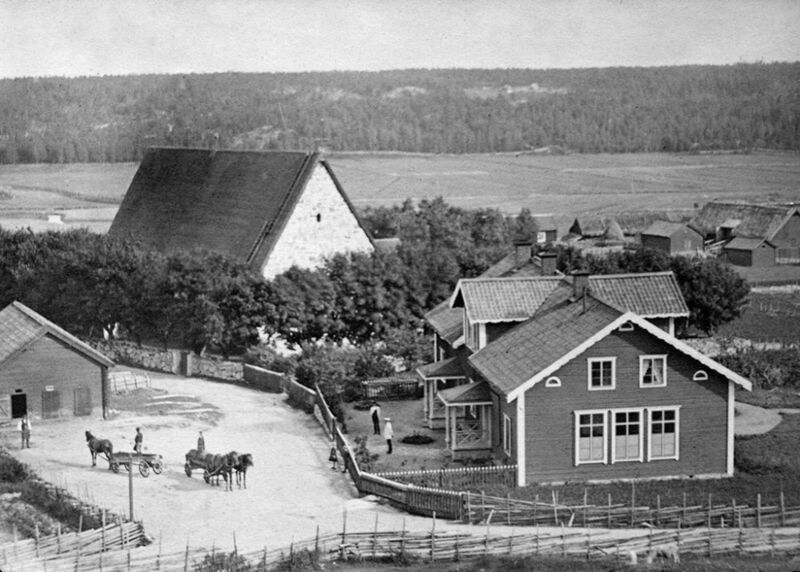 Surrounding buildings in Kårsta village. Oscar Fredrik Church, Göteborg (Gothenburg), Västergötland, Sweden. 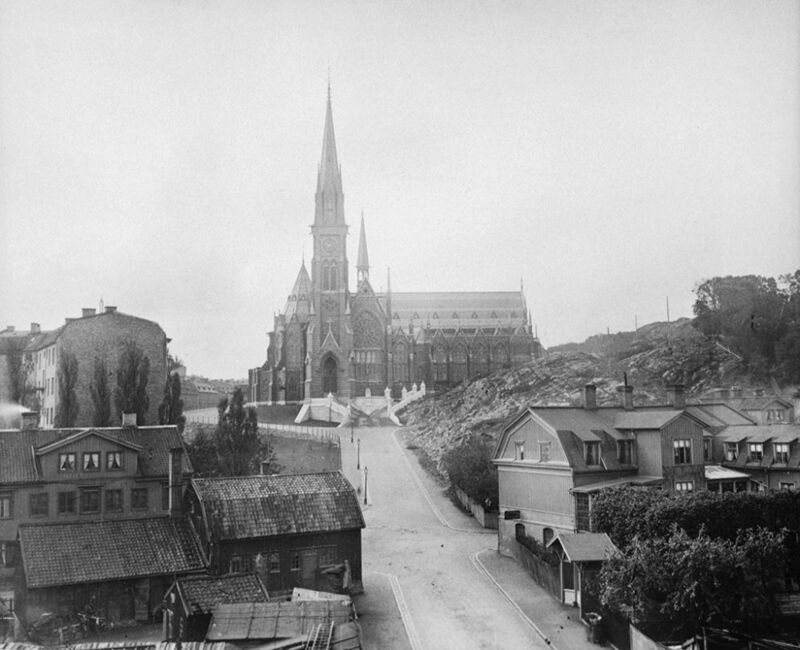 Oscar Fredrik church in the Olivedal area in Gothenburg. 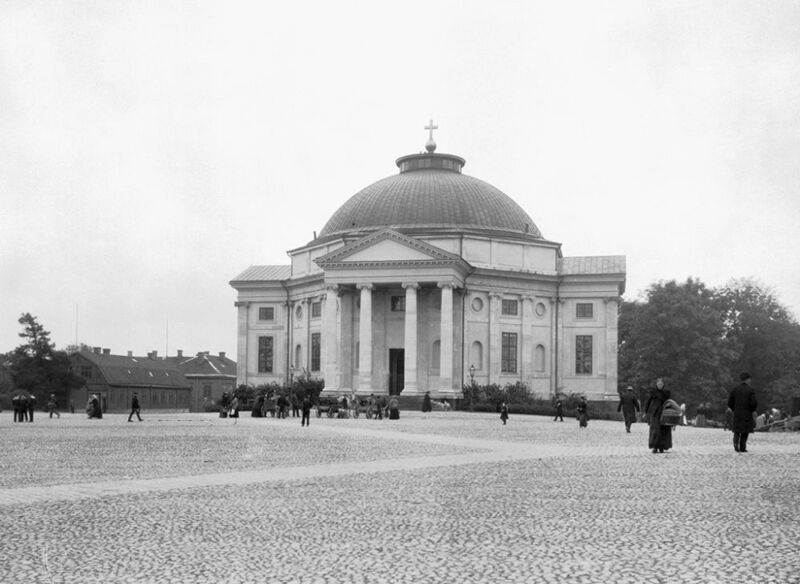 The church was designed by architect Helgo Zettervall (who took the image above) and was inaugurated in 1893. 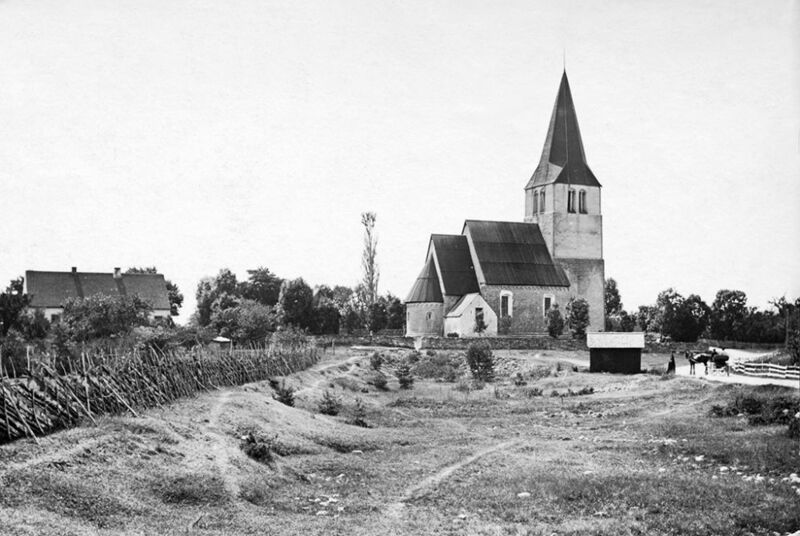 The church was named after king Oscar II. Hammar Church, Närke, Sweden. 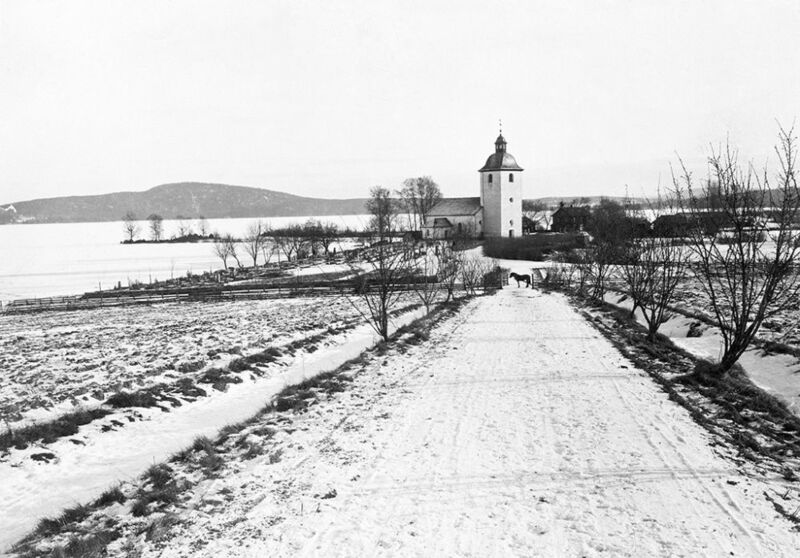 Hammar church by lake Vättern, inaugurated in 1827. Osby Church, Skåne, Sweden. 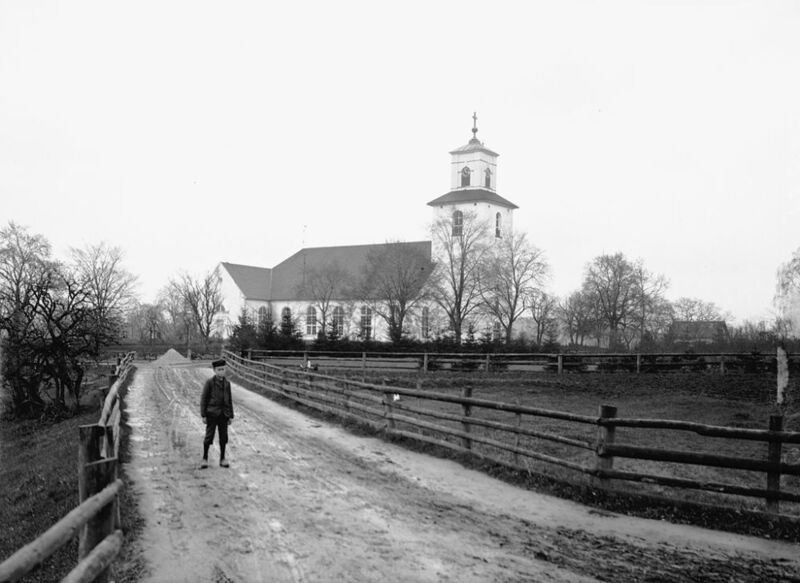 Boy on a road north-west of Osby church, with chancel and apse from about the year 1200. The recent nave and tower were built in 1834. Levide Church, Gotland, Sweden. Levide church on the island of Gotland, originally from the earlier part of the 13th century. Köla Church, Värmland, Sweden. Köla church by lake Hugn. The church was built around 1700. Allhelgonakyrkan Church, Lund, Skåne, Sweden. 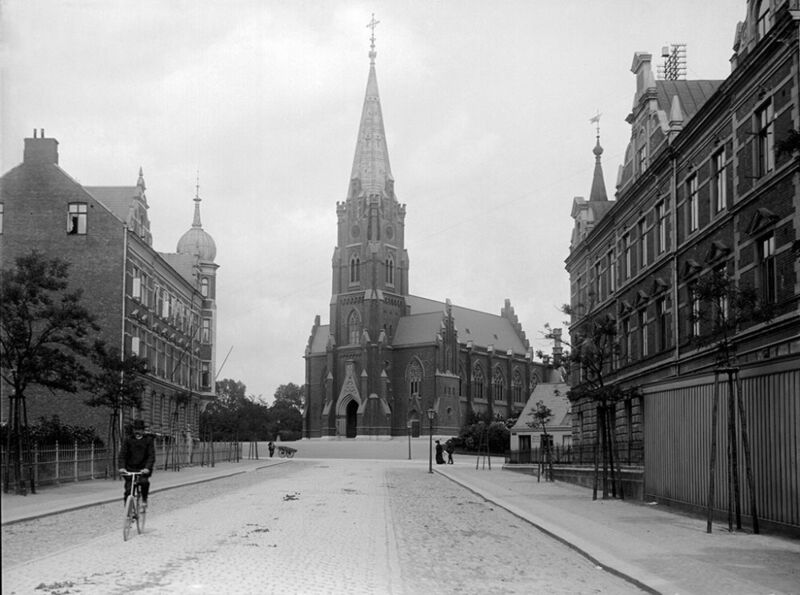 Allhelgonakyrkan (All Saints Church), created by architect Helgo Zettervall, inaugurated in 1891. View from Sankt Laurentiigatan street. Kalmar Cathedral, Småland, Sweden. Kalmar cathedral at the Main Square. The cathedral, created by Nicodemus Tessin the Elder, was inaugurated in 1682. Husaby Church, Västergötland, Sweden. 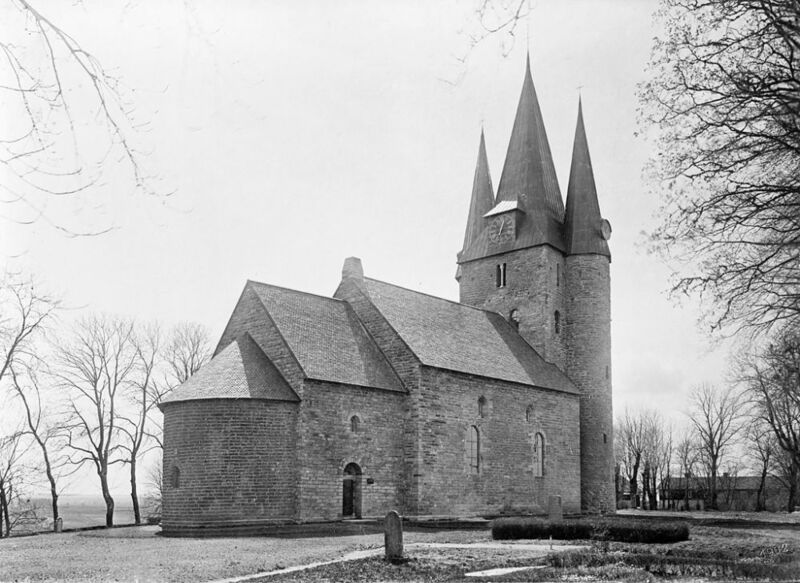 Husaby church, originating from about 1100, when the tower was added to an earlier wooden stave church. The church has been restored several times.